Dubai, UAE, June 14, 2018: Within minutes of each other, UAE Team Emirates were celebrating two victories on Wednesday afternoon. Italian Diego Ulissi took control of the fifth stage of the Tour de Suisse, breaking away on the uphill finish in Leukerbad ahead of a group of 15 chasing riders. Ulissi timed his attack perfectly and, from 300metres out, romped home to pick up the 30th win of his career and first in 2018. 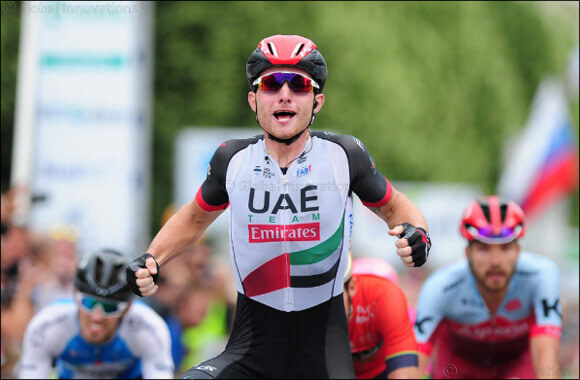 Just moments later, UAE Team Emirates’ Simone Consonni out-sprinted his opposition at the Tour of Slovenia to earn his first ever professional win and take the lead in the General Classification (GC). The 23-year-old Italian took charge of the first stage, narrowly avoiding two crashes in the last kilometre to secure first place.